The Hearts on Fire Collection | Available at Clowes Jewellers Red Deer, Alberta Shop Now! If it’s a stunning, one-of-a-kind piece of diamond jewellery that you seek, Hearts on Fire delivers with engagement rings, wedding bands, and designer jewellery. Internationally renowned as the World’s Most Perfectly Cut Diamond, Hearts on Fire crafts diamond jewelry that is gorgeous and glittering, standout and spectacular. Founded by Glenn and Susan Rothman in 1996, Hearts on Fire created the world’s first branded diamond filled with brilliance and perfectly designed facets. Innovative and beautiful, every piece of Hearts on Fire jewellery is romantic, passionate, and filled with love. With the highest standard of diamond perfection, Hearts on Fire designs and creates jewellery that is timeless, classic, and meant to be cherished—and you can discover the world of Hearts on Fire at Clowes Jewellers in Red Deer, Alberta. At the center of all Hearts on Fire jewelry is the diamond. Every diamond used in Hearts on Fire collections and creations is handcrafted and hand selected, meaning less than one-tenth of the world’s natural diamonds meet this special standard of perfection. When you browse Hearts on Fire jewellery, you’ll see sparkling flawlessness and shimmering beauty in the gemstones selected. At Clowes Jewellers, you can choose the perfect piece of Hearts on Fire jewellery to suit your style, your glamour, and your unique love or relationship. With collections of engagement rings, wedding bands, and women’s jewellery, Clowes Jewellers is home to the latest in this sought-after brand’s collections and designs. Make a statement that truly wows with a piece of Hearts on Fire jewellery. The brand’s glittering engagement rings come in a vast variety of collections that encompass beautiful designs for every bride-to-be: classic and timeless, stylish and on-trend, modern with a hint of traditional dazzle. Opt to make the center diamond the star of the show with an engagement ring from the Hearts on Fire Camilla or Beloved collections, or choose more decorative rings from the Destiny or Delight collections. When it comes to selecting a stunning wedding band, you can make your new union the highlight of your ring finger with options from the Hearts on Fire Effervescence or Isabelle women’s collections, or the men’s collection. For those choosing fashion jewellery meant to shine, Hearts on Fire brings glamour in the form of fashion rings, earrings, bracelets, and necklaces. 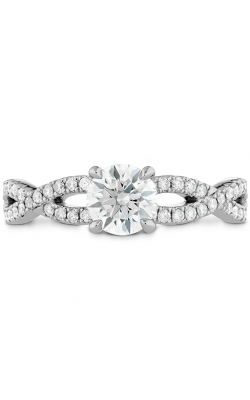 Why Shop at Clowes Jewellers? At Clowes Jewellers serving Red Deer, Calgary, and the Edmonton area, customers will find amazing quality, service, and selection alongside the latest styles from Hearts on Fire. With three generations of experience, this family owned and operated jewellery retailer presents an always expanding variety of high-quality and luxury jewelry, diamonds, Swiss timepieces, and so much more. 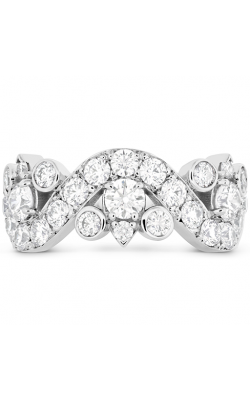 Clowes Jewellers is where Central Alberta gets engaged—and with a vast selection of gorgeous Hearts on Fire engagement rings, as well as styles from other famed names, it’s no surprise that couples rely on our incredible selection to mark such a meaningful moment. Visit our Alberta showroom, and discover the perfect piece of Hearts on Fire jewellery for any occasion, event, or outfit.